ASTHMA deficiency type but outcome on palm! Posted on 2 Sep 2017 Author Dr. Dinesh kapur	1 Comment on ASTHMA deficiency type but outcome on palm! Asthma is a common illness characterized by repeated attacks of paroxysmal dyspnea with wheezing, condition making it most common chronic childhood disease to date. During an asthma attack, lung’s airways (bronchioles) become inflamed, contraction and become lined with excessive amounts of mucous causing a restriction of airflow and making it very difficult to breathe. These attacks often triggered by pollution or some environmental irritant like cigarette smoke, household cleaning agents, or other toxins. Other common triggers include a change in air temperature or humidity; stress, allergies, and physical exertion. If there is a history of hives, eczema or skin-related allergies are a common link between skin reactions and chronic asthma. Allergies to pollen, grass, certain foods, house dust mites, pets or any other environmental allergens. Causative factors are varied from the exogenous pathogenic factors to weakened body resistance. Asthma due to exogenous pathogenic factors is of excess type, and that due to weakened body resistance is of deficiency type. Lungs ~ Prolonged and protracted cough may weaken and injure lungs vital. Deficiency may create shortness of breath and dyspnea. Main manifestations: Short and rapid breathing, feeble voice, weak and low sound of coughing, sweating on exertion, pale tongue, pulse of deficiency type. Kidney – Overwork and sexual indulgence can injure kidney. It can weaken body resistance and damages essential energy, failure to receive energy may create causative factor to rise asthma. Main manifestations: Dyspnea on exertion after longstanding asthma, severe wheezing, in drawing of soft tissues of neck, short breath, lassitude and weakness, sweating, cold limbs, pale tongue. Long standing asthma affects kidney which is the source of energy. When it is in lowered functioning fails to receive energy and therefore dyspnea on exertion, severe wheezing and short breath appear. Exhausted kidney develops emaciation and lassitude, weakness and sweating. Avoid common irritants such as spray deodorants, perfumed cleaning agents, and cigarette smoke, wherever possible. Avoid sulfites and preservatives as these tend to trigger asthmatic reactions. Exercise regularly. Regular, gentle exercise will help strengthen over-all lung and heart functioning. If you are unfit, start off slowly, gradually increasing activity as the fitness levels increase. Include Vitamin C, B6 and magnesium, as a lack of these nutrients, implicated in a number of inflammatory conditions, including asthma. Reduce dust and pollen in household. During pollen season, try keeping windows closed and opt for an air conditioner instead. Dust can be reduced by replacing carpets with tiles or wooden floors, buying washable curtains and blinds, and vacuuming upholstered furniture and mattresses regularly. Stress and anxiety are triggers, if then learn to manage with relaxation such as meditation, deep breathing exercises. Treat colds and flu as soon as they become evident. Wear a scarf over nose and mouth if have to go out in cold air and avoid exercising in cold air. CategoriesAsthma, Asthma deficiency, Breathlessness, COPD, Kidney, Lungs, Oxygen, Women’s issue. Wellness. TriOrigin. SuJok. Smile. Pain. Onnuri. Neuro. Naturopathy. Medicine. Health. Feminine. Emotions. Disease. Color Acupuncture. Alternative Medicine. Acupuncture. 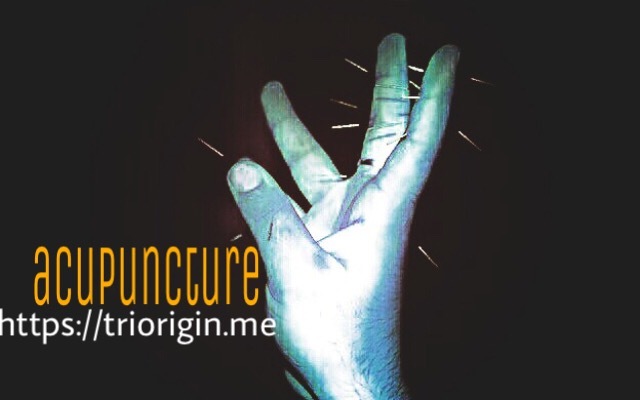 Next Next post: HORMONES and acupuncture micro remedies on hands!